Leave the transportation up to Phoenix Charter Bus Company for your next group trip around Phoenix and the rest of the Valley of the Sun. We’ll streamline transportation for private, large-scale events like family reunions, group resort vacations, and community-based events. Phoenix Charter Bus Company works with bus providers and drivers throughout the area to offer groups efficient transportation services for events of all sizes. To learn more about our charter bus rental services in Phoenix, call us anytime at 480-445-9823. With year-round warm weather, Phoenix and its surrounding metro areas are home to dozens of cabins, resorts, and ranches that are perfect for big family getaways. Whether you’re locals looking for a group staycation, or you’re flying family members in from out-of-town for a huge reunion, Phoenix Charter Bus Company will take care of your transportation logistics. Easily transport everyone to a luxurious family event at Royal Palms Resort or up to Flagstaff for a cozy reunion in the mountains. A group of family and friends getting together for a staycation can choose from a variety of minibuses, including an 18-, 20-, and 25-passenger model, while large families gathering for a reunion at one of the area’s popular resort hotels can comfortably travel in a spacious 56-passenger motorcoach. Adults can relax in reclining seats and climate-controlled interiors while they leave the driving up to a certified, professional driver. Kids can stay entertained with on-board televisions equipped with DVD players and complimentary WiFi. School may be out for the summer, but community organizations and camps can still count on Phoenix Charter Bus Company for safe transportation services. All of the drivers in our network are required to pass rigorous background checks and each bus includes up-to-date features for optimal safety. A private charter bus rental will also give your organization a comfortable and efficient way to get around Arizona for camp field trips, community service events, and more. Counselors and group leaders can leave the driving up to professionals so you can focus on organizing other important logistics of your event. Plan a day trip at Papago Park filled with outdoor fun while we take care of the transportation. Everyone in your group can cool off in the comfort of your charter bus after a scorching Phoenix day. The Phoenix area hosts festivals and large events of all types throughout the year. From major golf tournaments and bowl games to music festivals, Phoenix has events for all types of groups to enjoy. Renting a personal charter bus or minibus to transport your group will keep everyone together while on the way to the Fiesta Bowl or M3F Fest. During huge events, Downtown Phoenix roads can get crowded and hectic, meaning members of your group can easily get lost if split into separate vehicles. Everyone will be dropped off and picked up together without needing to worry about the hassle of crowded festival parking. Your professional driver will handle the busy roads and parking process so your group can focus on having fun before the event! 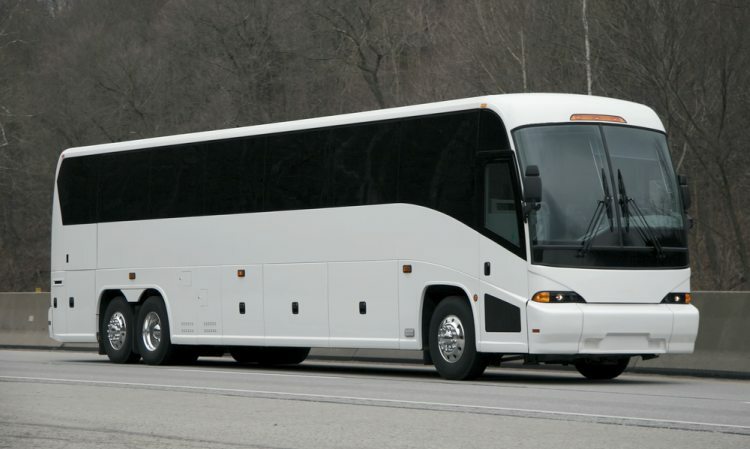 Phoenix Charter Bus Company is here to make your private trip as smooth as possible. We have rental experts available 24/7 to help you find the most suitable bus model for your trip. No matter the size of group or type of event, we’ll have you covered for all your travel needs through Phoenix and beyond. Call our offices at 480-445-9823 to start the rental process with a free, personalized quote!